This guide will explain how to use Constant Contact for professional email marketing campaigns. We’ll show you how to build lists with convenient tools, draft stylized emails and use some advanced tools like birthday messages and automated welcome emails. To follow along on a free trial Constant Contact you can click this link and signup (no credit card required). The very first thing you have to do in Constant Contact set up your lists. These are groups of contacts who you’ll send different emails to. A music store might have one list for woodwind players, one for guitarists, one for drummers, etc. You could still send your storewide newsletter to everybody. By creating lists, however, you allow yourself to send more specialized emails in the future. For example, if there’s a promotion on guitar strings, you can send it to just your “guitarist” list. To create lists, click “Set up your first list” on the home menu. Along with typing the list name, you’ll need to enter at least 1 email address. Don’t worry about adding every single contact right away. We’ll show you how to add contacts quickly in the next section. The next step is to get your contacts added to the system. Click “Contacts” on the left-hand menu, then select “Add Contacts” near the top-right. Manually enter a list of contacts – This is helpful if you have a list of email addresses written down on paper. Choose “Type in or paste contacts,” then enter names and email addresses in the boxes below. Upload contacts from a spreadsheet – This is helpful if you have contacts saved in your POS system. We’ll show you to add contacts from a spreadsheet step-by-step further below. Import from Gmail or Outlook. This is a good option if you have a work email loaded with clients. You can pick which contacts to add based on your categories (i.e. “Customers,” “Vendors,” “Coworkers.”) You cannot pick out email addresses 1 by 1, however, so it’s probably not a great idea to import from a personal email inbox. Import from your CRM. 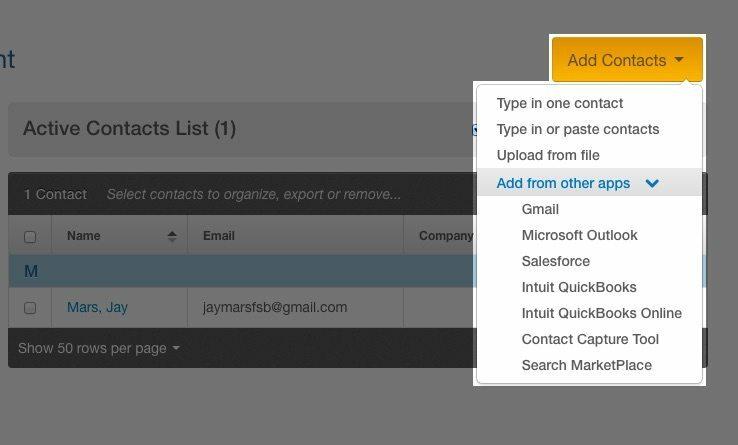 Similar to Outlook/Gmail, Constant Contact allows you to import leads from Salesforce. Under “Search MarketPlace” you can find additional CRMs, including ACT and NetSuite. Using Zapier, you can add contacts straight from Insightly, Zillow, Nimble and many more. From a form on your website. If you don’t have any contacts yet, fear not. Further down in this guide, we’ll also show you how to sign up customers using a form on your website. If you don’t see your CRM, POS or other marketing/sales system listed, you can likely still import contacts using a spreadsheet. To do this, head over to your other program and see if there’s a way to “export contacts” as a spreadsheet. For example, with Lightspeed, our recommended POS system, you can export customer email addresses by going to the “customers” menu (see instructions here). Make sure you save your file as a .XLS, .XLSX, .CSV, or .TXT, as these are the formats Constant Contact will accept. Once saved, open the spreadsheet file. Make sure your headers are properly notated (i.e. “First Name,” “Last Name,” “Email,” etc.) and that there’s only 1 piece of data per column. Don’t combine first and last names, for example, in a single column. When everything’s looking good, head back to Constant Contact. Select “Upload From File” under Add Contacts, and you should be good to go. With your lists created and contacts saved, we can move on to the most important step: How to use Constant Contact to send emails. Constant Contact is a powerful emailing program with a lot of advanced emailing features, including birthday coupons and auto-messages. For now, however, let’s just focus on sending a simple one-off email. Now, as you type your message, remember that this single email will be sent to your entire list (or lists). If you want to address somebody personally, you’ll have to do it using Constant Contact’s “Insert” tool. This tool allows you to add the recipient’s first or last name (or their company name). It will change for each email you send, so every contact receives a personally addressed message. To use the tool, click “Insert” below font size and color. Once you’re happy with your email, click “Continue.” On the next menu, you’ll add your subject line and select which lists you want to send the email to. You can send the message immediately, or schedule it for later. For additional tips will crafting your message, be sure to check out our guide Email Marketing Best Practices – 29 Tips From the Pros. Also, if you’re using Constant Contact for sales, check out our guides How to Write a Sales Email in 4 Simple Steps and Top 6 Sales Email Templates That Make an Instant Connection. One of the key perks to using Constant Contact (vs. sending emails manually) is that you can track the successfulness of your emails. Constant Contact tells you how many people opened the message, clicked a link inside the message or forwarded the email to a friend. To view these reports, go to “Emails” then “Reports.” Over time, tracking these will help you determine which types of messages customers like best. 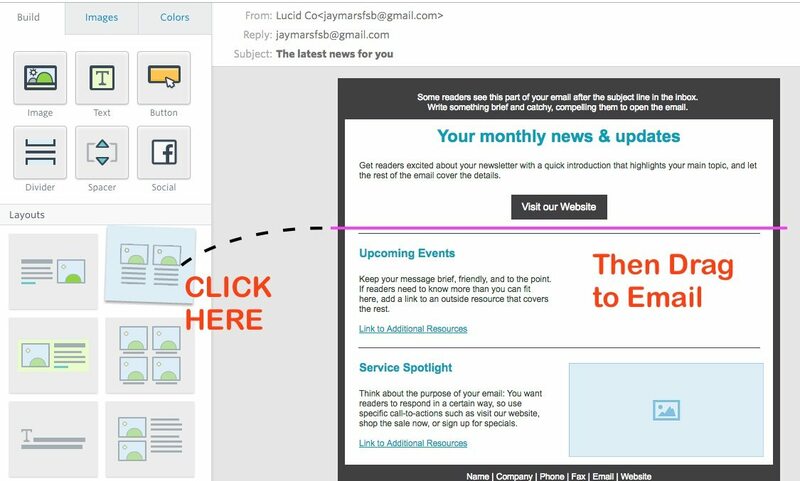 You can adjust your marketing emails to best engage your customers. Now that you’ve learned how to create a mailing list, you probably have at least 1 lingering question: How do I let people sign up? 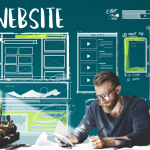 One of the key perks to using email marketing software is letting website visitors sign themselves up to your mailing list. To do this, you can create a form using Constant Contact and add it to your website. When somebody fills out the form and clicks “submit” they’ll automatically be added to a list in Constant Contact. To create a form, go to “Contacts” then “Sign-Up Tools” at the top. Click “Create a Sign-Up Form.” The first step is to write the title and description of your form. You’ll also need to choose which list contacts will be added to. Using the example we gave earlier, a music shop may want to create multiple sign-up forms – one for drummers, one for guitarists, etc. Then, each form can be placed on a separate landing page – one on the homepage for drums, another on the homepage for guitars, etc. The next step is to specify what information you want visitors to enter. 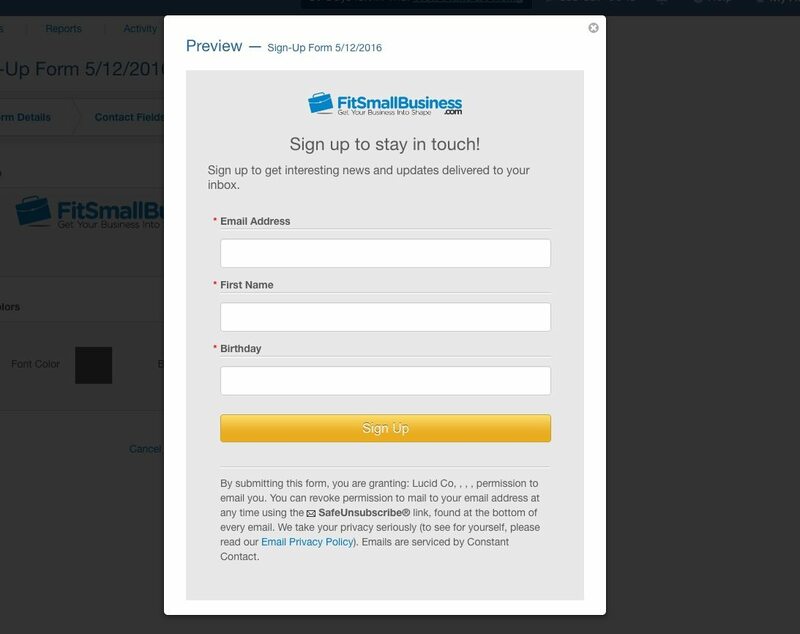 On its most basic level, your sign-up form can just ask for an email address. You can also ask for their name, however, or birthday and anniversary (i.e. if you want to send coupons). The last step is to add your logo and adjust your color scheme. And voila. You have a signup form. To add this form to your website, Constant Contact gives you a few options. Back on the Sign-Up Form homepage, you can select “Embed Code.” Copy/paste this code and you can embed the form on your website. Constant Contact can also host them form themselves. 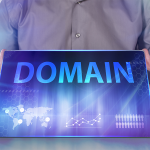 Select “Form URL” and you’ll be given a web address that leads to your contact form. You can link to this address on your website, or share it on social media. As we hinted at before, Constant Contact offers many advanced emailing tools. 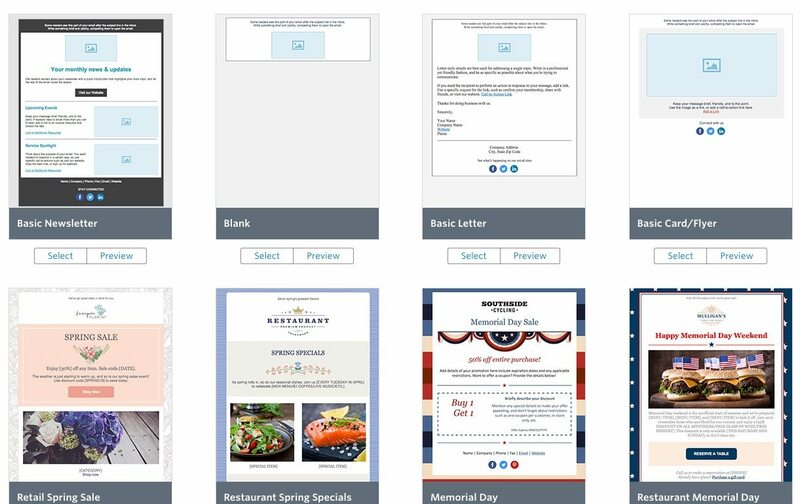 You can automatically send coupons on a customer’s birthday or anniversary, you can send a survey/poll, collect RSVPs for an event, and more. A simple automated email you might want to set up is a Welcome Email. Every time a visitor fills out a form and joins your mailing list, you can greet them with a pre-written message. Unlike mass emails, which get sent to everybody on your list, a welcome email is only sent to 1 email address at a time. A more advanced option is Autoresponder Series. This is a series of emails that would be sent to a visitor after they join your list – typically spaced a few days or week apart. For example, the first email could welcome new contacts, the next introduces your business, the next introduces a specific product and so on. To create a series of emails (also known as a “drip campaign”) click “Autoresponder Series” and follow the instructions. You can also refer to this guide on Constant Contact’s website. Constant Contact can be a powerful tool for small businesses of many different kinds. To truly get the most out of email marketing, however, make sure you keep tracking your open rates under “reports.” This will help you optimize the types of messages you send to best engage your customers.